The Sloggi Myday Hipster has a low leg-line and an extra-low hipster waist that will stay hidden under tummy-baring outfits. The cotton/Lycra® blend fabric is breathable for everyday wear. 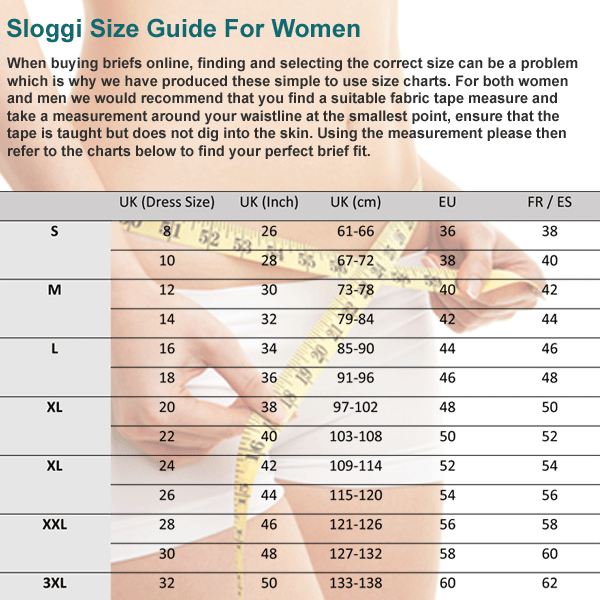 These Sloggi Hipster briefs are a great everyday hipster with 96% of women surveyed by Sloggi loving the new Feelgood cotton. The low waistline is stretchy and comfortable, sitting just below the top of the hip bone. Soft fabric and a close fit make these hipsters a good choice under most outfits. The full coverage offered by the low leg line leaves you feeling confident to bare your midriff, while the smooth lines barely show through leggings or skinny jeans. No wonder these Sloggi hipsters are a popular choice!